Cliff Richard is one of the best selling artists in Europe, he has had a big career all over the world and was knighted by the Queen in 1995, but never managed to win the Eurovision Song Contest, despite his two entries being among the most loved and played songs from the Contest. 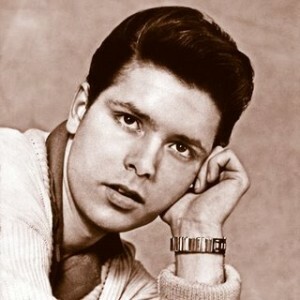 Cliff Richard, whose real name is Harry Roger Webb, was born in the city of Lucknow in India. When he was 8 years old, the family returned to England, where young master Harry would break through 10 years later as one of Britain’s most loved singers. In 1958, Cliff paid £10 and made a single, containing the 2 rock classics “Lawdy Miss Clawde” and “Breathless”. The record was handed over to Norrie Palmer, Columbia Records, who agreed to let Cliff make a real record. “Move It”, the A side, reached 2nd place on the British charts in October of `58, and launched the career that now has lasted half a century. The Drifters, renamed to The Shadows, started to back Cliff on his records and tours in 1959, and until they split up in`68. For a few years Cliff was trying to be a rock singer, but due to his voice, he moved more and more to pop music and films. He played the leading part in the musical “The Young Ones” in 1961, and also in the film “Summer Holiday” from `62, which gave him the prize “Best British Film Actor 1962”. In the mid 60`s Cliff`s career took a new turn when rock groups like The Beatles and Rolling Stones etc. turned the focus away from him, and also his proclaimed christianity in 1966 pushed him further back. Cliff has always tried to find ways to show he is better then The Beatles, and finally in 2004 he could proclaim that “now he had sold more singles then Elvis and The Beatles”. He forgot to take into consideration that The Beatles stopped recording in 1969 and Elvis died in 1977. In 1968, Cliff Richard entered the Eurovision Song Contest for the UK, singing top favorite “Congratulations” to a second place, beaten by Spains “La La La” by 1 point. Even though the song was a big hit all over Europe, Cliff turned more to his religious life, recording songs and films with different religious groups. Cliff relaunched his pop career in 1973, when singing “Power To All Our Frinds” to a 3rd place in the Eurovision Song Contest in his second entry for the UK. Three years later, he finally got a minor breakthrough in the USA with the song “Devil Woman”. Cliff`s last major hit worldwide was the 1979 single “We Don’t Talk Anymore”, while in 1999, “Millenium Prayer” cost him some problems with his old record company, EMI – Columbia, which finally made him change label. The song still reached 2nd place in the UK charts. “Bachelor Boy” is the name of one of Cliff`s earlier songs, and yes he has never married. In 1974, Cliff denied all romours that he should have proposed to singer Olivia Newton-John. Also, a 2 year long relationship with British tennis player Sue Barker ended with no ring. Cliff Richard was made a Knight by British Queen Elizabeth II on the 25th of October 1995.